Grains form the base of the Food Guide Pyramid, and nutritionists are constantly nagging us to eat more of them. Sure they're a bit bland, but they're high in nutrients, low in fat, and dirt cheap. Cooks usually consign grains to supporting roles, letting them absorb the flavors of other ingredients while adding texture and body. 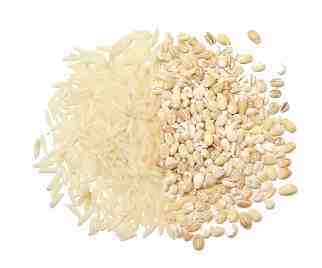 It often helps to toast grains briefly before cooking them so as to bring out the flavor and speed up the cooking time. Most grains have been processed by the time they reach us. The first step at the mill is to remove the inedible outer hull, yielding what's called a whole grain, berry, or groat. Whole grains are nutritious, but they're chewy and slow to cook. To fix that, the nutritious bran layer beneath the hull is sometimes scoured off as well, resulting in a pearled or polished grain. 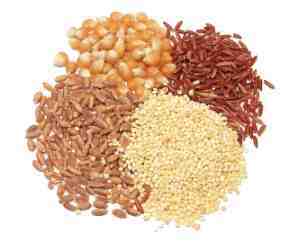 Whole or polished grains are then sometimes ground, rolled, or chopped into flakes, small grits, meal, or flour. 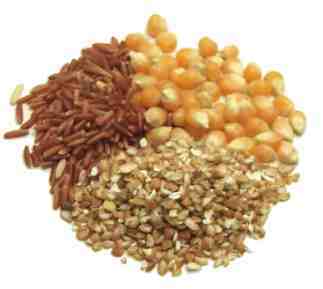 whole grains = berries = groats Notes: These are grains that are either unprocessed or stripped only of their tough outer hulls. 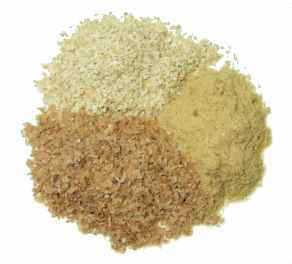 By themselves, whole grains are bland, so it's best to combine them with more assertive ingredients. It also helps to toast the grains before cooking them--this boosts their flavor and speeds up the cooking a bit. 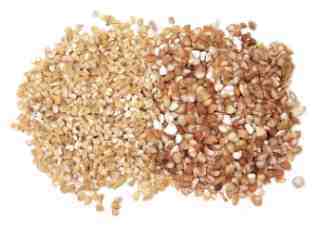 pearled grains = pearl grains = polished grains Notes: These are more processed than whole grains. This makes them less nutritious but they cook up faster and have a more tender texture. grits = cracked grains = steel-cut grains Notes: These are grains that have been cut into smaller pieces so they cook faster. 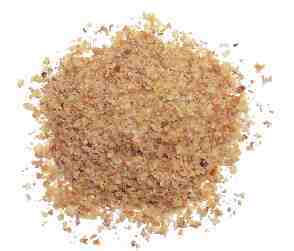 flakes = rolled grains Notes: These are grains that are steamed, rolled, and flaked. 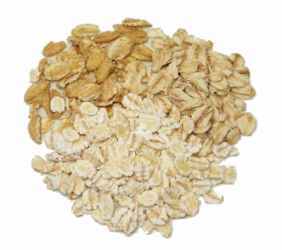 They can be cooked briefly to make a hot cereal, sprinkled on casseroles, or added to granola mixes, cookies, or soups. 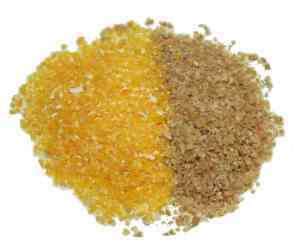 meal Notes: These are whole grains that are ground until they have the consistency of sand. They're then used to make hot cereals and breads. Stone-ground meal is ground between stones, giving it a grittier consistency. germ Notes: This is the exceptionally nutritious embryo found within the grain kernel. It contains oil, so it has a relatively short shelf life. Many cooks store small jars of it in the refrigerator, and use small amounts of it to fortify breads and cereals. 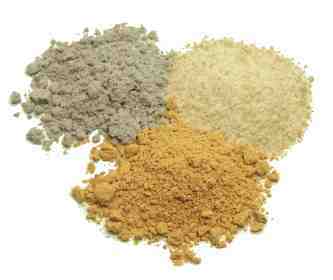 flour Notes: Flours are made from grains or nuts that are finely ground to a powdery consistency. They're used to make breads and other baked goods, but they also serve to thicken stews and sauces and to coat foods about to be fried.